We’ve recently returned from a rare week away from our guest house in Eastbourne on holiday with the children in the Canaries. Given how bright it generally is in Eastbourne (the sunniest place in the UK! ), the Autumn and early Winter have proved to be pretty murky (and damp – the whole of the UK is currently under water!) so we jumped at the opportunity to catch some winter rays, kick back around a swimming pool and teach the kids doggy paddle. It’s interesting when evaluating your own motivations and requirements for a holiday and the all-important accommodation; as I’ve grown older and hit a different life-stage with a family, mine has seemingly focused on space, space and, er, more space. As much as I love my children and wife I now insist on a huge bed (at least a kingsize – how does anyone cope with a double these days??) and sufficient sleeping space to join my children in the illusion that they REALLY are in narnia at night. I’ve just said goodbye this morning to a lovely couple of young Belgian families who headed back home after their holiday with us in Eastbourne. Their spontaneous comment this morning was to thank us for our large suites – and the capability to hide the children around corners in the bedroom and indeed to place their youngest in a cot in the kitchen – I just loved the ingenuity! So apparently I’m not alone in demanding bags of space when I’m away on a family break. Sadly I can’t guarantee you sunshine but I can provide you with enough comfortable space to accommodate you and your family well. Just let us know what you need (including any baby kit such as travel cots, streilisers, high chairs, books, toys, etc) and we’ll lighten your load and make it as relaxing as possible during your precious holiday with the kids. Late Winter Special Offer – Kids Go Free! Just in case you need a little extra reason to hit the coast on a Winter break with children, how about this for a nudge – children are free! Spacious suites, flexibility of your own kitchen and sea at the end of the road. Think invigorating strolls along the prom, pebble throwing and spectacular views from Beachy Head. Throw in child-friendly recommendations for cafes and restaurants and you’ll be booking a follow-up summer break before you know it! Promotion runs until the start of Half Term. Accommodation only although yummy breakfast options are also available. 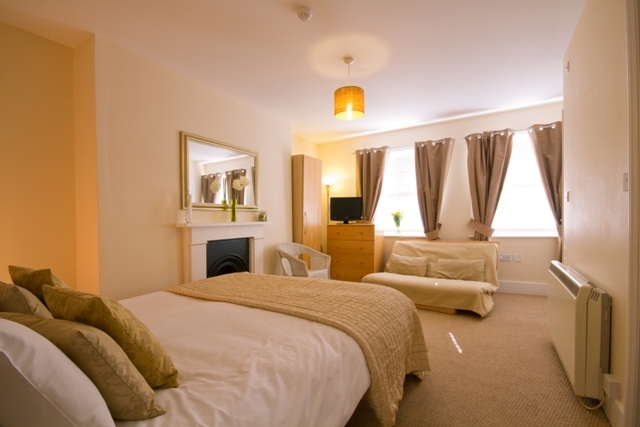 Call now on 01323 722774 email book@theguesthouseeast.co.uk as you must contact us direct to enjoy the offer.